On a quiet tree-lined terrace in central Edinburgh, this Georgian town house has private gardens and free Wi-Fi. Holyrood Palace, Edinburgh Castle and Princes Street are within easy walking distance. 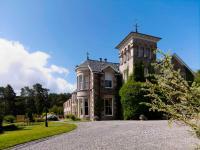 The peaceful Loch Ness Country House Hotel offers excellent food and elegant rooms. It is a striking Georgian building in 6 acres of beautiful gardens, 2 miles (3 km) from Inverness city centre. The Best Western Corona Hotel is a converted Victorian building situated half a mile from such famous sights as Big Ben and the Houses of Parliament. This four floor hotel features 51 guestrooms furnished in a modern style. All include cable television, direct dial phones with voicemail, trouser presses, tea and coffee making facilities, and complimentary newspapers. En suite bathrooms have power showers and hair dryers. 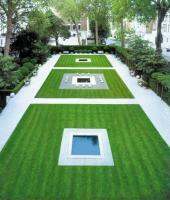 The Marylebone Serviced Rooms & Apartments are just half a mile from Regent's Park. They have free Wi-Fi, and a fantastic roof terrace which is accessible from the lounge. The Clifton hotel is a family-run hotel standing in its own grounds in a peaceful traffic-free location. Leading out onto Keats's Green, it occupies one of the Island's most beautiful cliff top locations. Set in a row of traditional white Georgian townhouses, the Hempel Hotel in London, England, provides a chic boutique hotel experience a short walk from the well manicured lawns of Hyde Park and Kensington Gardens. The fashionable West End, home to a plethora of theaters and shops, lies less than two kilometers away. London Heathrow Airport is 24 kilometers from the hotel. The Glendorgal Resort and Spa is located in Newquay, in Cornwall, England, one mile from the town centre. Lusty Glaze Beach is 200 metres away, the Blue Reef Aquarium is 1.5 miles away, and Crealy Adventure Park is 15 miles away. Newquay train station is situated one mile from the hotel and Newquay Airport is seven miles away. Hotel Features. The Leicester Stage Hotel is a single floor modern chalet style building with a light wood and glass frontage, situated in the quiet Leicester suburb of Wigston, two kilometres from St. Martin's Cathedral. This hotel features 77 guestrooms, all of which include satellite television, direct dial phones, Internet connections, tea and coffee making facilities and private bathrooms with hair dryers. Staycity Serviced Apartments- West End are situated 0.5 miles from Edinburgh Haymarket Rail Station. With free Wi-Fi and 24-hour reception, Princes Street's shops are just 1 mile away.